Join us for a 1960s themed fundraiser night featuring your favourite classics! Grab your friends, dress up, and dance the night away to live music! 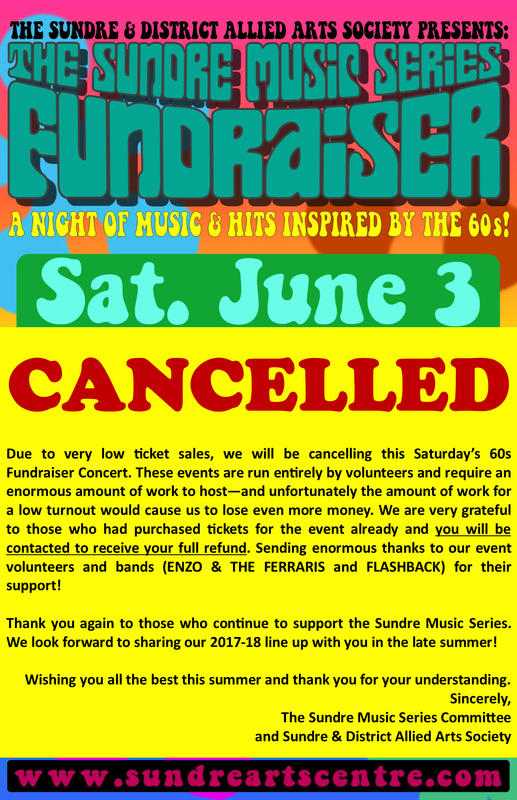 All proceeds from ticket sales go towards the Sundre Arts Centre. Prizes for Best 60s Costume! * Door Prizes! * Prizes for Best 60s Dancing!